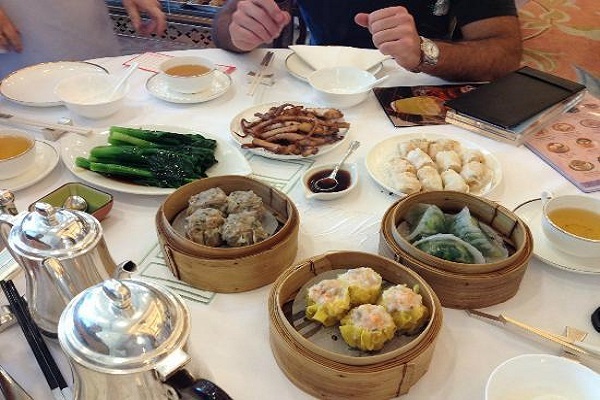 When you take a trip to Hong Kong, you definitely cannot miss out on its iconic delicacy – dim sum. 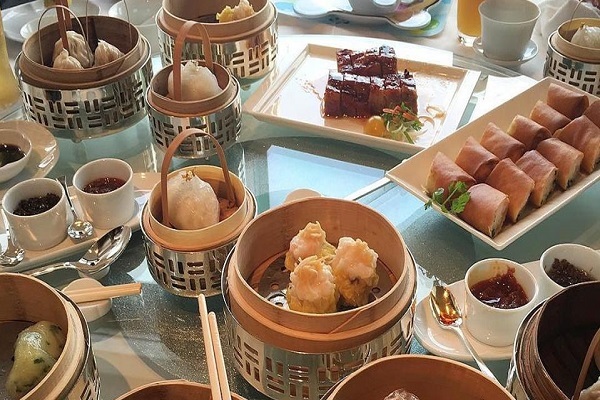 Translated literally as “touch heart”, dim sum is a comfort food for those who yearn for traditional Cantonese cuisine, yet with a hint of extravagance mixed into the comfort. 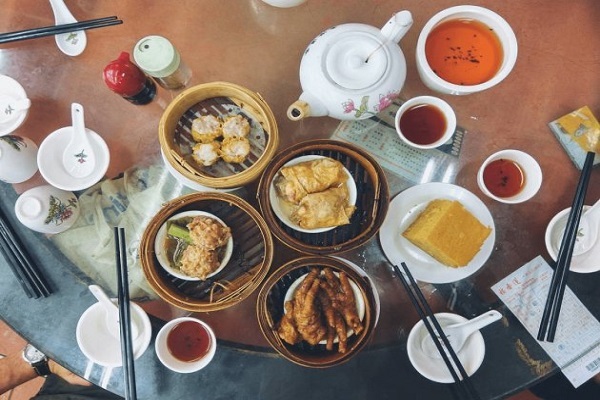 Hong Kong has a lot to offer in the food department, but visiting (many) dim sum eateries should definitely rank high on your itinerary. After all, the quality you’d be able to get in Hong Kong is usually way better than the fare in Singapore! Make sure to keep an eye out for hidden treasures because some of the best ones are located unassumingly among the endless rows of shophouses. To make sure that you get the most (dim sum) out of your trip, we embarked on a quest to sieve out the top 21 dim sum eateries in Hong Kong! 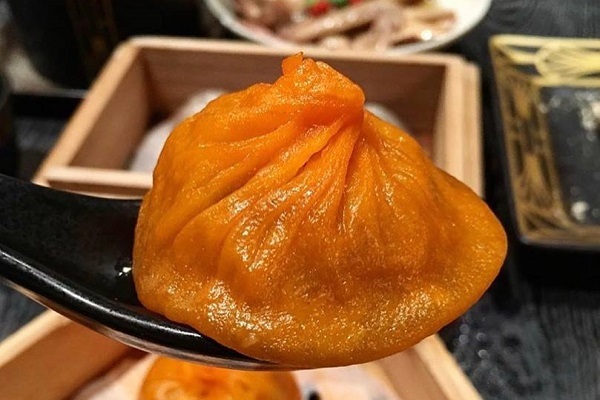 One of the local favourites, Dim Dim Sum is a homely restaurant famous for its piggy liu sha bao, or salted egg yolk custard buns. 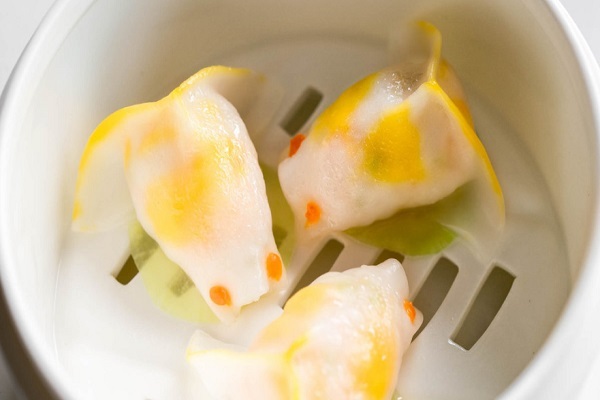 If you are skeptical of gimmicky cute dim sum that boasts of nothing but looks, don’t be! 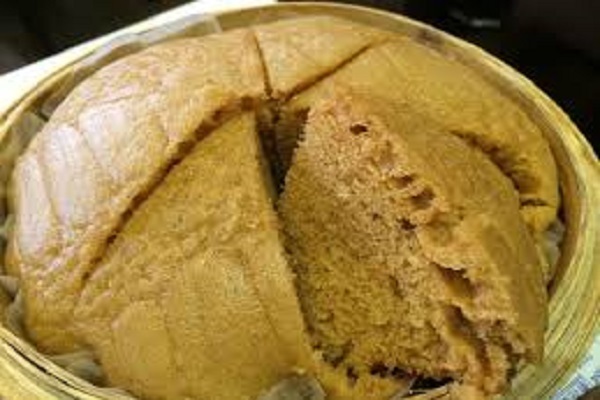 It has a wonderfully rich filling that is guaranteed to please both your sweet and savoury taste buds. 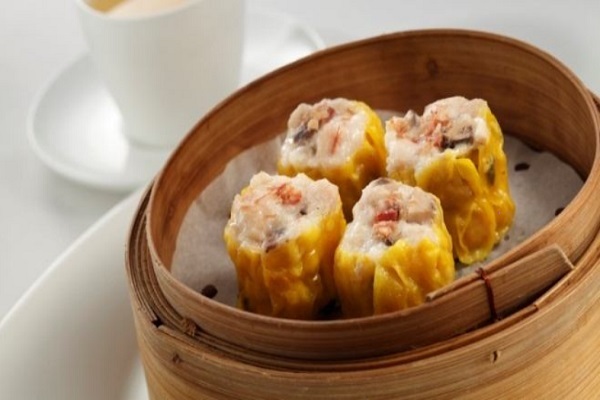 In fact, Dim Dim Sum is chosen as one of the top 101 places to eat in the world by Time Out magazine in 2012 so you can be sure that anything that you order will taste good! 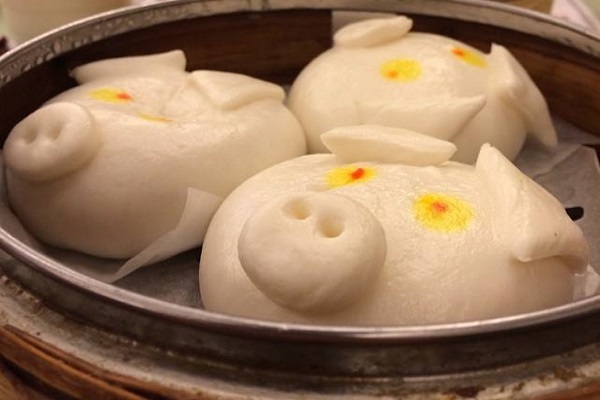 However, if you really want to try their specialties, go for the traditional dim sum like char siew bao (BBQ pork buns) and har gao (prawn dumpling). 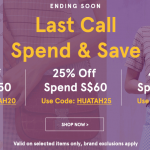 Price: Ranges from HKD16 to HKD28 per item. 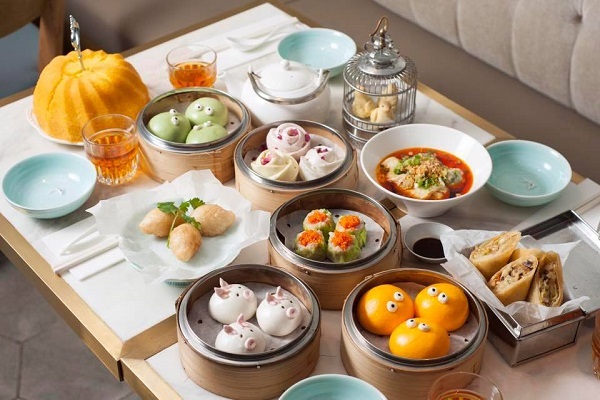 Best known for their Gudetama themed dim sum, Dim Sum Icon serves up unique animated steamed goodness that oozes cuteness with every bite. Every three months, the restaurant changes its theme and rolls out special menu items, with a few recent ones including Kanahei pork buns and multi-coloured Sailor Moon har gao – you will never get the same experience twice! Anime lovers, get ready for a gastronomic experience that not only flutters your taste buds but unleashes your otaku self. 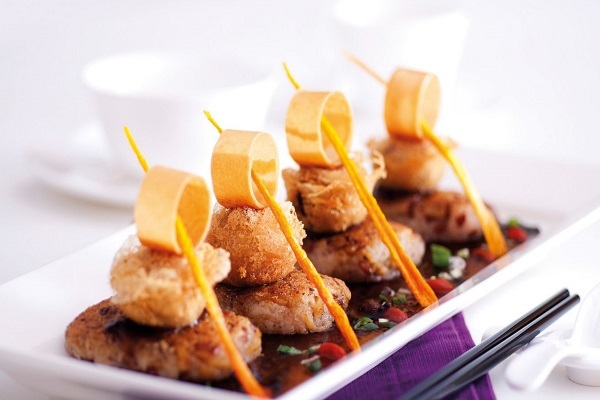 As its name suggests, Dim Sum Library offers a wide catalogue of dim sum – with a modern twist. It takes your traditional dim sum and infuse it with unique flavours, birthing delicacies like dan dan xiao long bao (with mala flavour) and ginger lobster bao. Word on the street is, both are crowd pleasers! Dim Sum Library also serves cocktail pairings with their dim sum so make sure to check out their selection! Price: Check out the prices of menu items here. Dim Sum Square is pretty much loved by all those who have been there and return for its affordable yet quality dim sum. 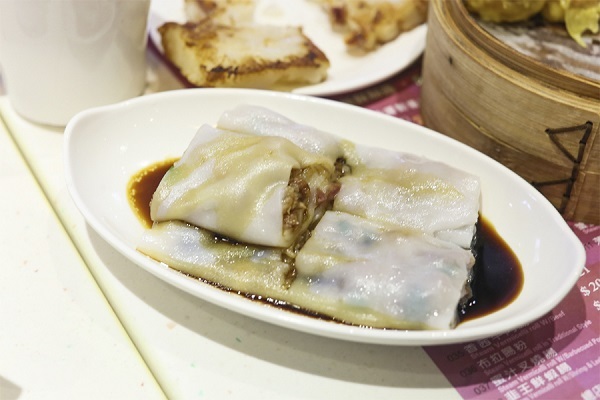 If you only have a few hundred HKD and are looking to really satisfy your hunger, then head down to Dim Sum Square for a blast. You won’t burn a hole in your pocket, don’t worry. Make sure to try their Beef Meat Balls with Beancurd and Pan-fried Eggplant stuffed with Pork! Ding Dim 1968 is started by a chef who has decades of experience, starting out when he was just 14 years old back in 1968 (hence the name of the restaurant). It boasts of an MSG-free menu so you can be sure that all the flavours come from organic sources, which once again proves the expertise of the chef. 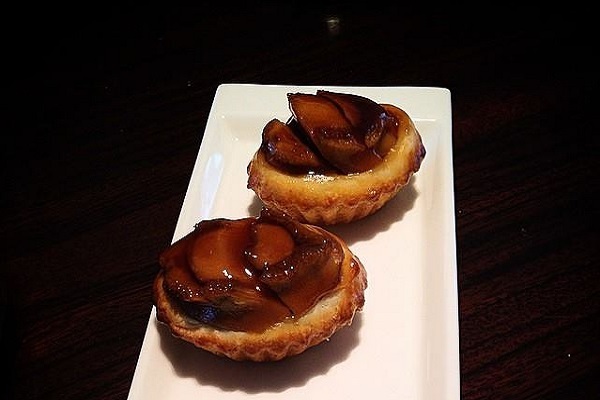 For those who are new to dim sum and unsure of where to go and what to try, Ding Dim 1968 is your best bet as it offers tasting menus that will help introduce you to the cuisine. 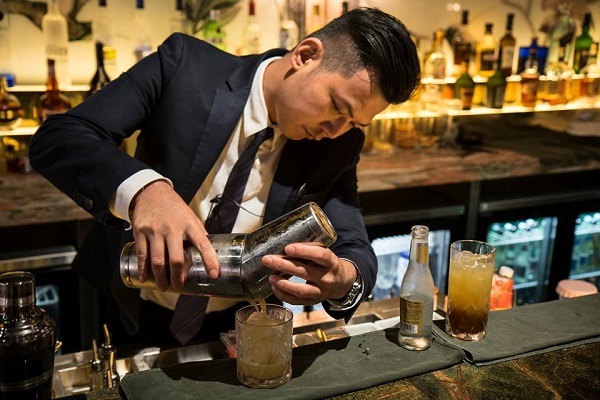 The staff are also courteous and desire to build a strong rapport with their customers, so you will surely have a pleasant first experience there! Price: Check out the prices of their menu items here. If you have an appreciation for the fine arts and culinary arts, a visit to Duddell’s will give you the best of both worlds. Portraying itself as social and cultural destination for people with a keen interest in fine arts, Duddell’s is probably the first to combine a traditional dim sum restaurant with a modern art gallery. If this sounds a little gimmicky to you, you’ll be relieved to know that Duddell’s has been awarded one Michelin star – testimony to its fine food. 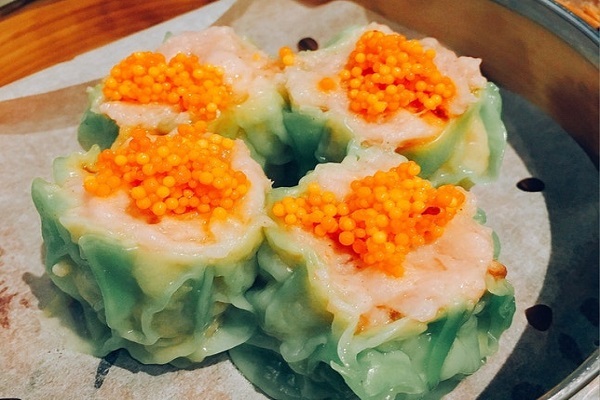 Some of the recommendations to go for are its Abalone Puff and Sesame Lotus Seed Balls. 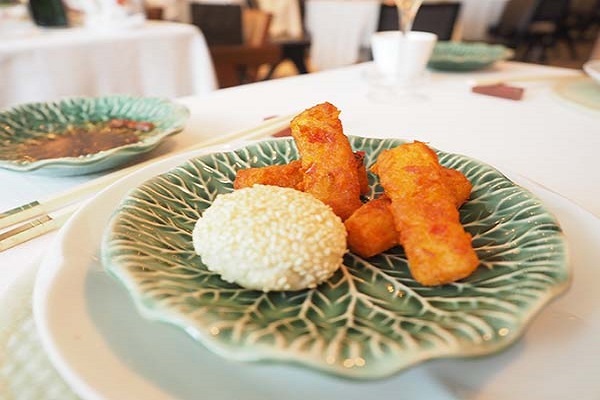 In the traditional village of Chuen Lung sits Duen Kee Chinese Restaurant, which remains seemingly untouched by the modernisation of Hong Kong. 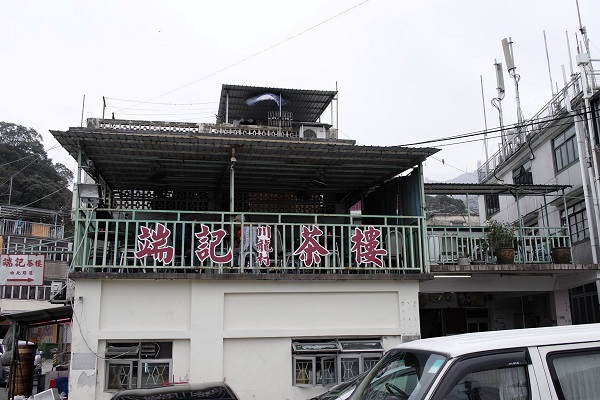 This old school dim sum house rests next to Hong Kong’s highest mountain, Tai Mo Shan, and serves up comfort dim sum for those who hiked through the mountain. 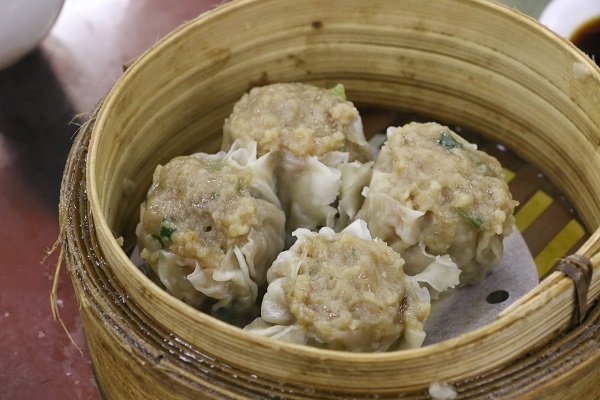 While this dim sum eatery is probably the least accessible in the list, those who make the journey there will surely be rewarded with fresh dim sum as the restaurant gets its vegetables from the village’s own farm. 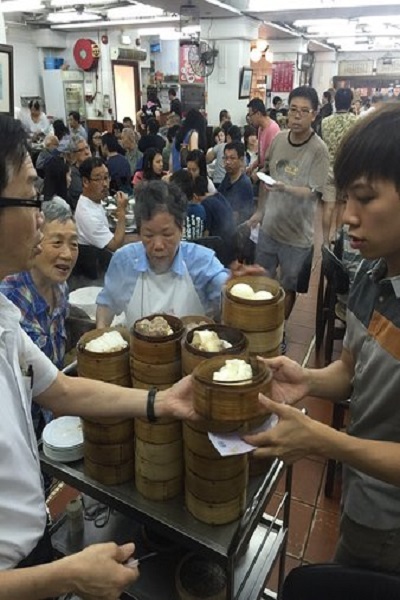 Dim sum are served in large bamboo steamers and you have to be quick to reach them as they run out very fast! 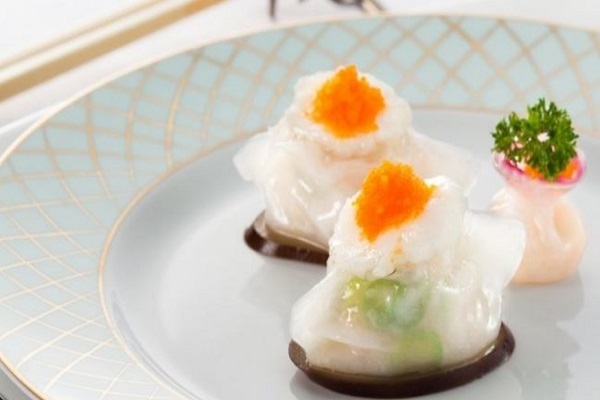 Hoi King Heen is well-known for experimenting with its dim sum recipes, putting a new spin on classic dim sums. Their experiment clearly produced good results as it was awarded one Michelin star in 2011, and has since saw an influx of both local and foreign patrons. 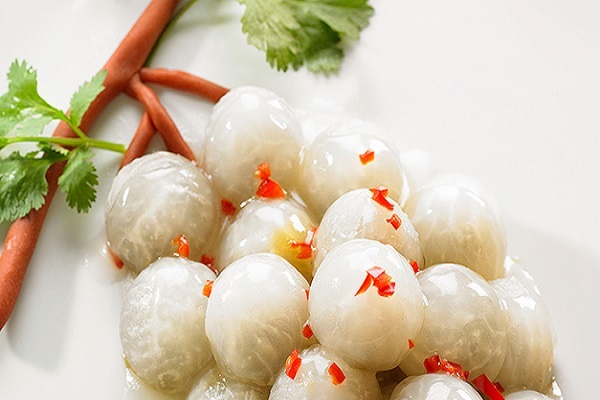 If you are there, definitely try out their signature dishes: Pan Fried Glutinous Rice Dumpling Filled with Peanuts, Steamed Garoupa Rolls with Yunnan Ham, and Braised Wintermelon Balls stuffed with Black Olive Mustard. Since its establishment in 1948, Fook Lam Moon has gained a reputation for itself as the dining place for The Wealthy. 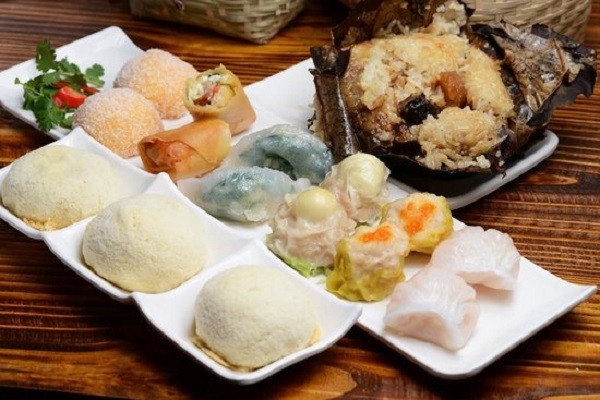 Nonetheless, it has attracted a huge crowd and many are willing to put themselves on the waiting list just to get a bite of their delicious dim sum. Fook Lam Moon is famous for their Cantonese delicacies such as Suckling Pig and Crispy Chicken. While this restaurant will definitely burn a hole in your wallet, its delicacies are worth coming back for! If you feel like rewarding yourself with an extravagant meal (or simply spoiling yourself), definitely give this place a go! 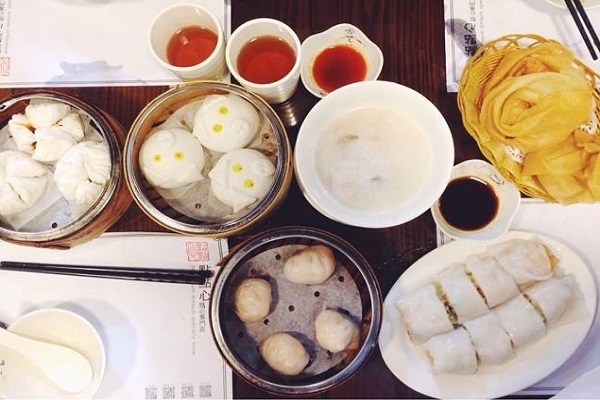 While the exterior of this restaurant may not scream ‘spectacular’, Lin Heung Kui has steadily built a reputation for itself among dim sum lovers. Opened in 2009, this restaurant was recently included in the 2018 Michelin Bib Gourmand Recommendation, putting itself alongside established chains within a short period of time. 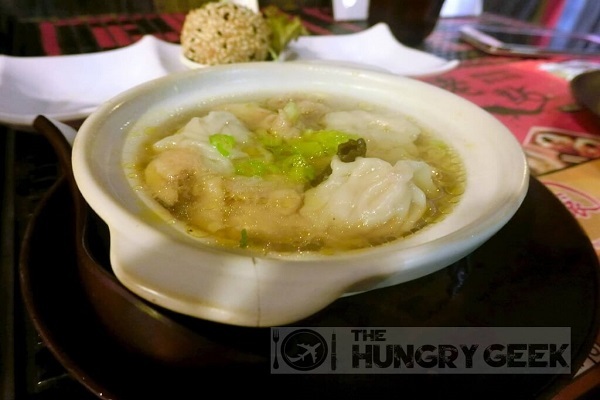 When you visit, don’t forget to order its specialty – the Dry Steamed Beef Dumpling – which is a must-try! 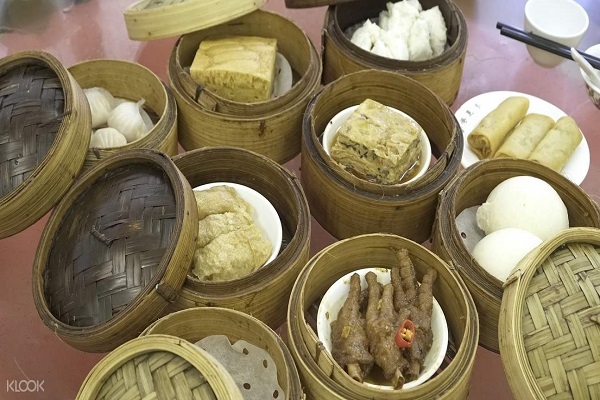 Established in Hong Kong in 1918, Lin Heung Tea House is one of the oldest dim sum restaurants in Hong Kong and maintains its operations the traditional way – dim sum in bamboo baskets on pushcarts. 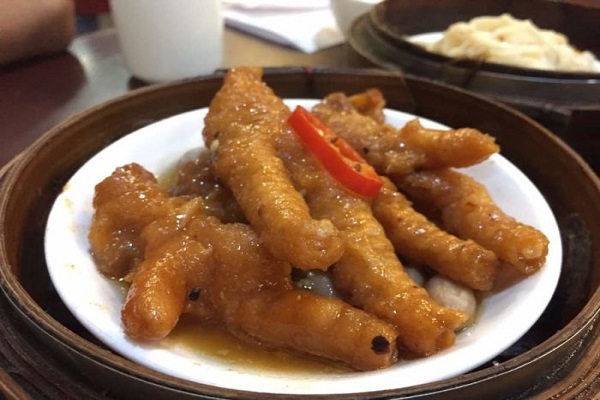 You can find all the usual favourites such as char siew bao, siew mai (pork dumpling) and even chicken feet. 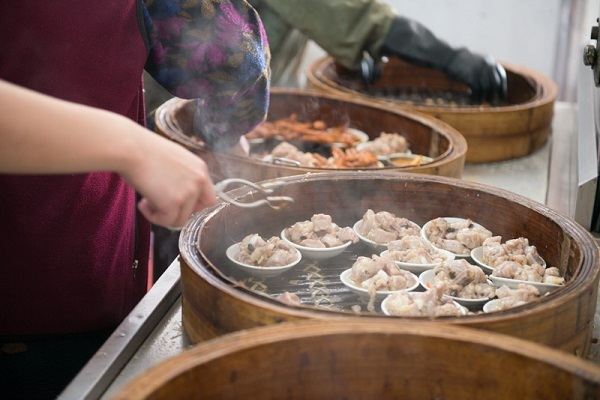 Prepare yourself for a truly authentic Hong Kong dining experience as you will probably have to wrestle your way to the front of the pushcart to have your order taken. While the dim sum may not be spectacular, the experience certainly is! For those of you who are looking to experience old Hong Kong comfort dim sum, definitely check this place out. 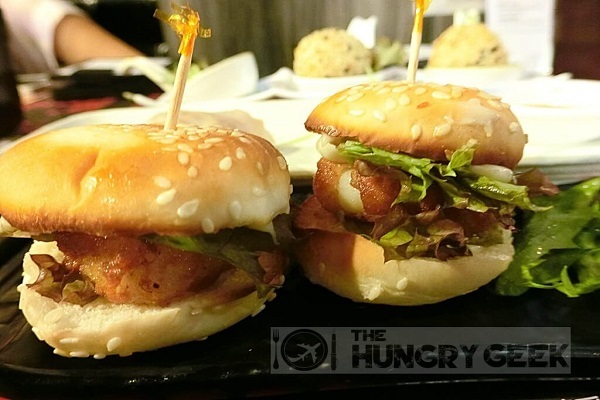 Ever had mini hamburgers for dim sum? 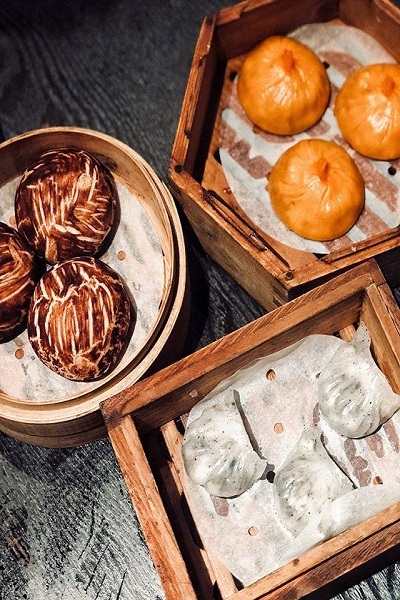 Lo Dim Dim Sum gives us a new take of dim sum, serving fusion delights such as Mini Hamburgers and Chicken Dumplings in Japanese Sake & Broth. If you are an adventurous eater who likes to experience something new, this is definitely a place to check out when you are in Hong Kong. 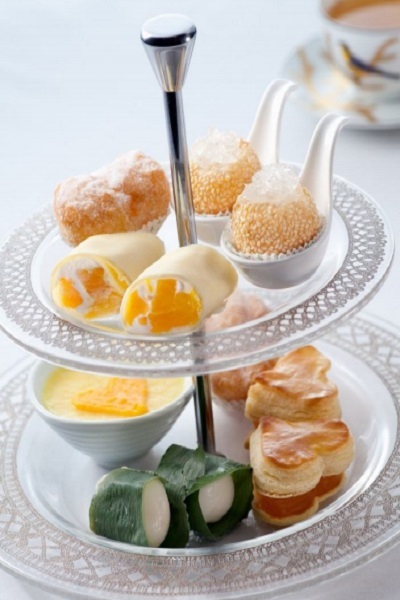 And if you are not, fret not because the Lo Dim also serves the classic dim sum, with extravagant touches. 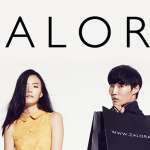 (For siew mai that is worth HKD19, you get caviar garnishing!) This place is probably one of the most underrated dim sum eateries that dish out food fit for a fine dining experience so it’ll be a shame if you miss it. 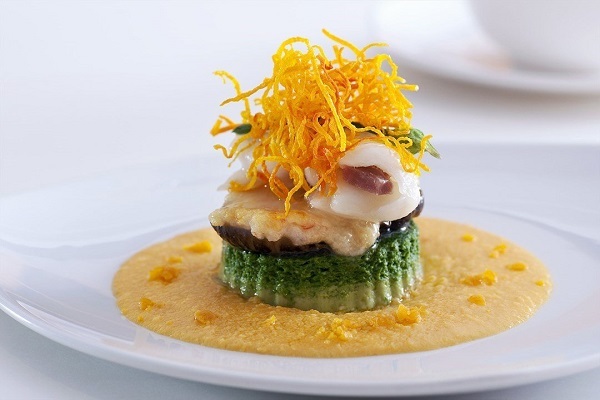 Located in Four Seasons Hotel, Lung King Heen is the only Cantonese restaurant that has managed to keep its three Michelin stars for a long time. This restaurant is so sought after that reservation is required one month in advance for dinner, and three months in advance for lunch! When you finally sit yourself at the table though, you’d find that all those tedious waiting paid off because the food and the service is excellent (it has three Michelin stars for a reason!). 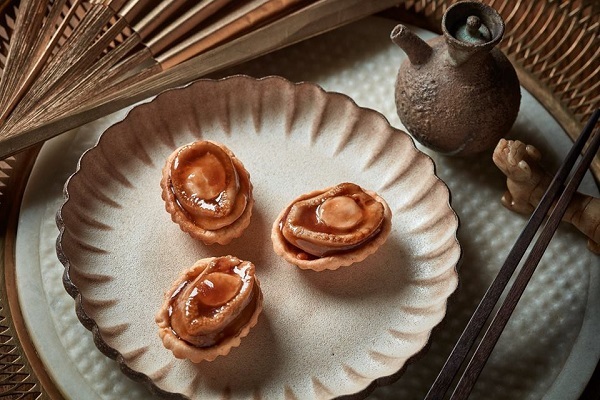 The restaurant boasts of serving seasonal seafood dim sum items such as Baked Whole Abalone Puff with Diced Chicken and a giant Steamed Lobster and Scallop Dumpling. This is probably a name that sounds familiar to most. Though Maxim’s Palace is a hot tourist eatery, you’ll find many local customers as well so you know it serves authentic dim sum! 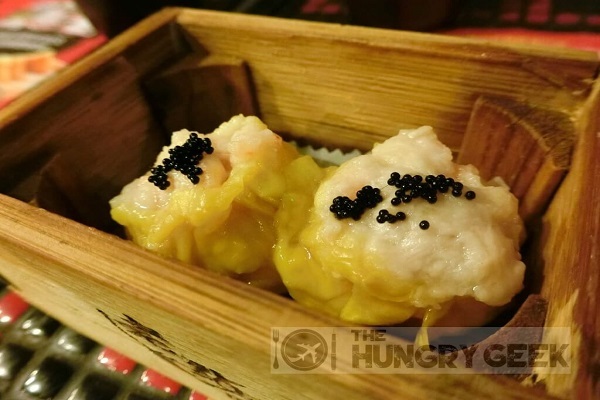 If you want to experience not just the food but the Hong Kong dining experience as well, Maxim’s Palace is another restaurant you should definitely check out. They serve dim sum the old school style on trolley carts. 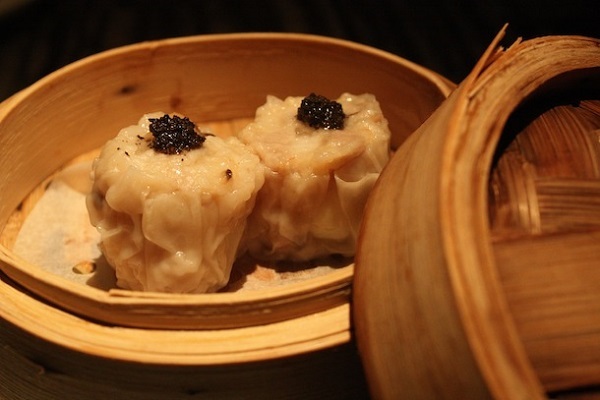 With over 100 dim sum dishes to choose from, you’ll be spoiled for choice! Did you ponder over the name of this dim sum restaurant? 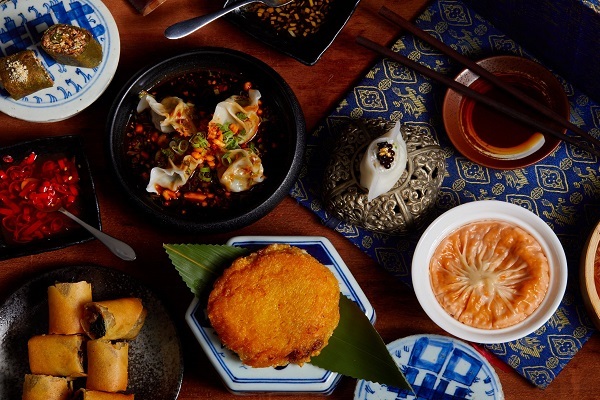 Turns out, Mott 32 is the name of a street in New York, where this restaurant had its humble beginnings as NYC’s first Chinese convenience store in 1851. Now, they have four outlets around the world; talk about legendary! This restaurant also boasts numerous awards (which you can check out on their website since there are too many to name) so you can be guaranteed a phenomenal experience for your taste buds. 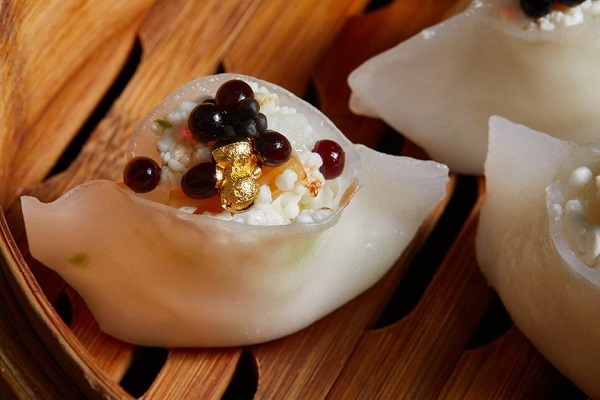 It takes international classic dishes and infuse their dim sum with it, producing special dim sums like Soft Quail Egg, Iberico Porl, Black Truffle Siew Mai and South Australian Scallop, Prawn, Hot & Sour Shanghainese Soup Dumplings. These may sound pretty complex but those who have tried them find that the flavours work harmoniously! Awarded one Michelin star in 2011 and 2012, One Dim Sum is often compared to Tim Ho Wan for its extremely affordable and delicious dim sum. Offering different variations of the classic dim sum including an off-menu chicken bun, you will surely find something to fix your craving (or if you are the adventurous sort, you can even try their unique renditions such as Steamed Cake in Mala!). 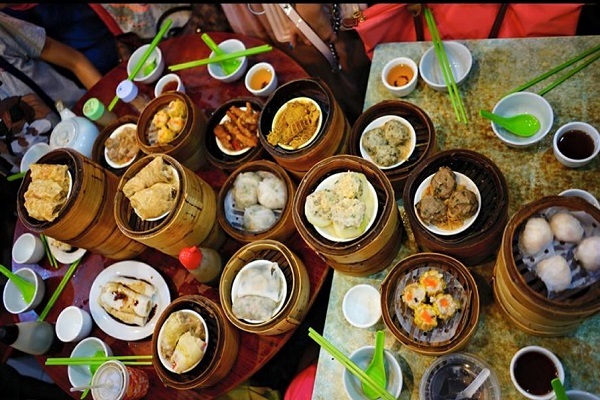 Some of the local favourites include Steamed Minced Beef Balls and Steamed Vermicelli Roll with Deep Fried Flour Roll. 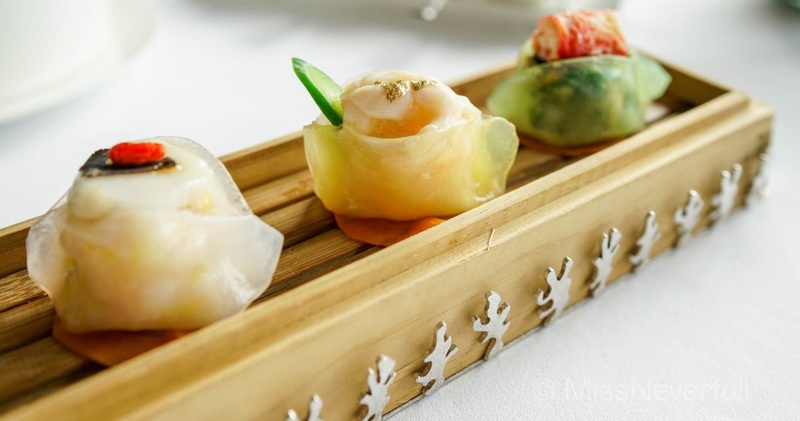 Sheung Hei Dim Sum is yet another restaurant that has made its way to the Michelin Bib Gourmand Recommendation in 2018. 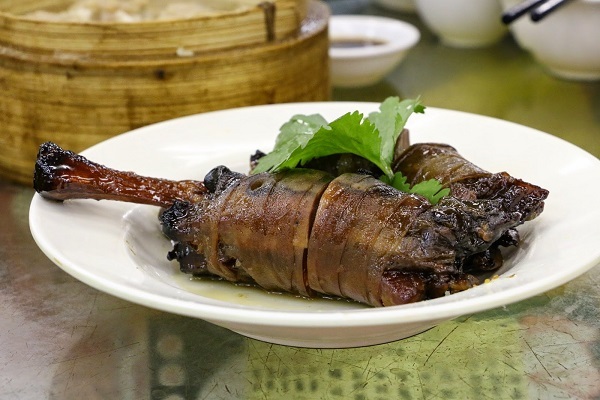 Not only does it serve quality dim sum at great deals, this restaurant also prides itself on providing msg-free dim sum so chomping down on the highly raved Beef Tripes and Black Bean Chicken Feet can ease some of your guilt. To top it off, Sheung Hei Dim Sum is open for 22 hours, so if you are craving some midnight snacks, you can head over for delicious dim sum! Before the opening of Kennedy Town MTR, Sun Hing Restaurant is little-known to tourists but very much frequented by the locals – a testimony of its delicious, authentic fare! 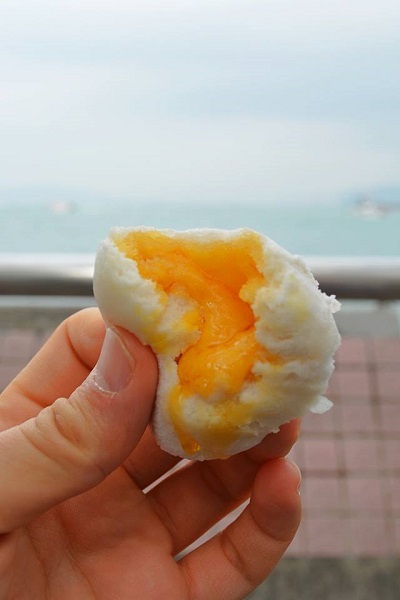 Try their famous liu sha bao, which has a smooth creamy larva filling (no pieces of unmixed egg yolk) that is light on the palette despite its richness. 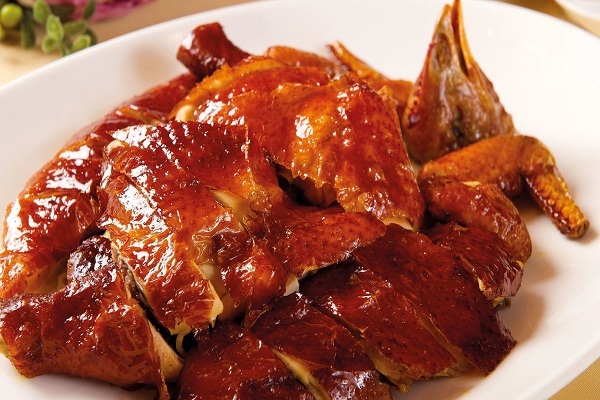 Sun Tung Lok is the first non-hotel eatery to receive three Michelin stars in Hong Kong. Though it has lost its star since, it remains a popular favourite among locals and tourists for its delectable yet affordable dim sum. 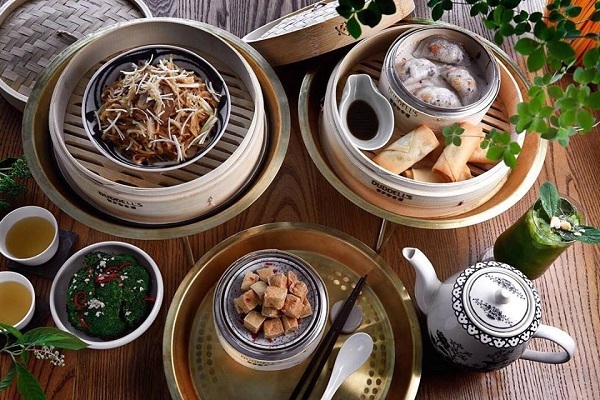 Using quality ingredients, they have elevated the taste of the traditional dim sum, serving up delights like Siew Mai topped with Minced Yunnan Ham, Steamed Scallop and Kale Dumpling, and Sweet Sesame Liu Sha Bao just to name a few. If you are within the shopping district of Tsim Sha Tsui and feeling a little fancy, do pay this restaurant a visit! 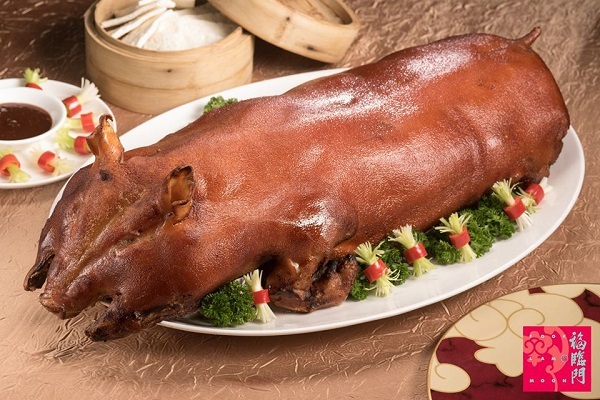 Yet another Michelin star awardee (coming in at two stars), Yan Toh Heen is considered one of the world’s leading Chinese restaurant specialising in Cantonese cuisine. 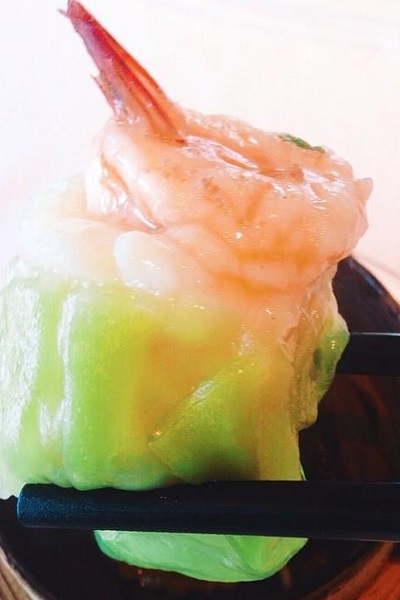 Feast your eyes on the exquisite and elegant dim sum that is totally Instagram-worthy! 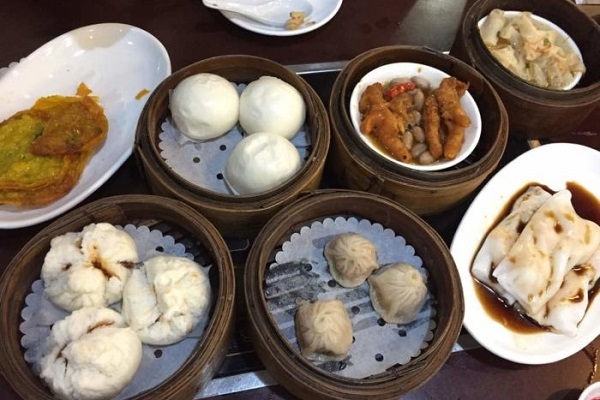 You can tell that this restaurant strives to give the best dim sum experience possible, from taste to presentation to service. 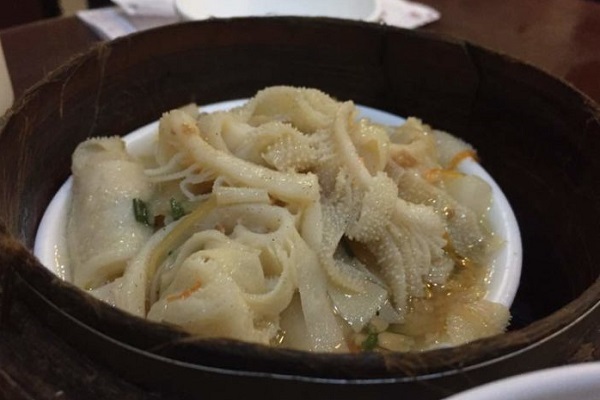 One of the must-try item is definitely the Yan Toh Heen Superior Dumplings consisting of Steamed Scallop with Black Truffle and Vegetable Dumpling, Steamed Lobster and Bird’s Nest Dumpling with Gold Leaf, and Steamed King Crab Leg Dumpling with Green Vegetables. Though they are pricey (at HKD168), the taste is worth every dollar. 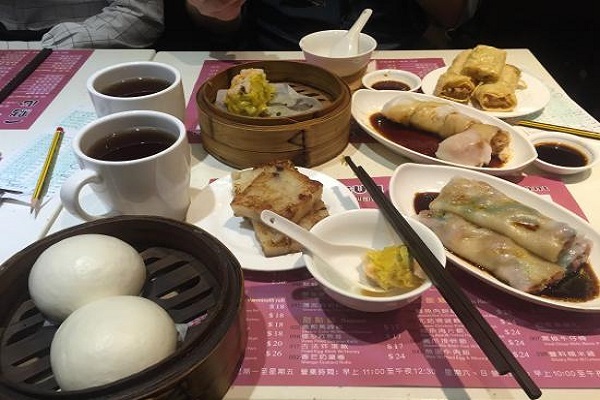 If you want to visit specially for dim sum, go during lunch time though it may be more crowded, because the prime goodies are only available during this timing. 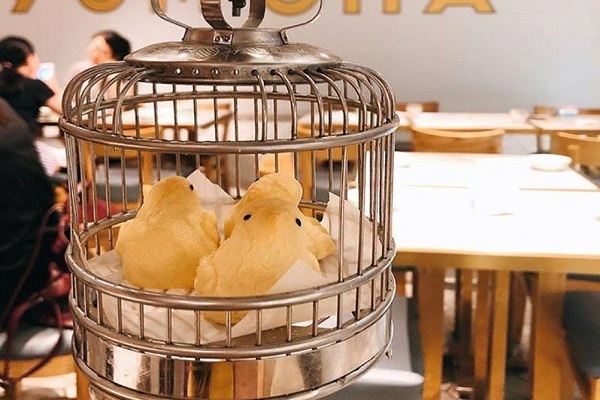 Known among locals and foreigners for their adorable, Instagram-worthy dim sum, Yum Cha is a place you should definitely visit to understand all the hype! It has even made its way to Singapore’s Chinatown, proof that there is something to all the fanfare. 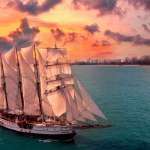 Get your cameras ready when you visit this place because Instagram opportunities are everywhere! Check out their custard buns (Salted Egg Yolk and Green Tea) made into an iconic face and the Baked Pineapple Puffs chicks in birdcages. 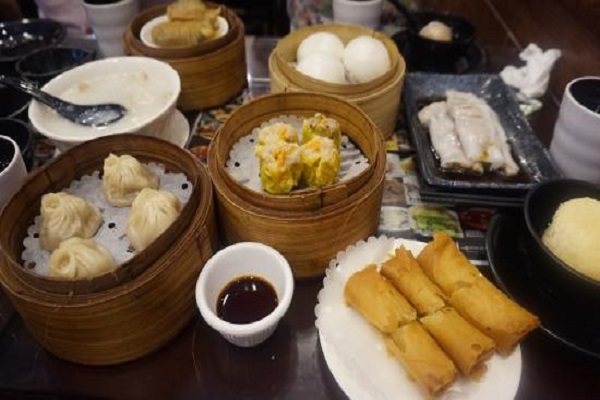 If you are not a fan of the sweet dim sum, don’t worry because they also have a spread of traditional classic dim sums (just a tip, their Crab Roe and Pork Dumpling is to die for).